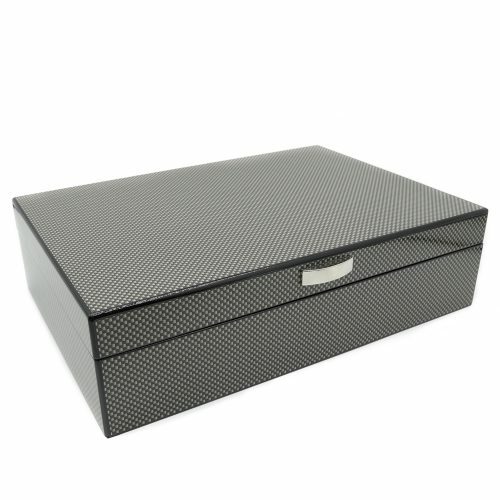 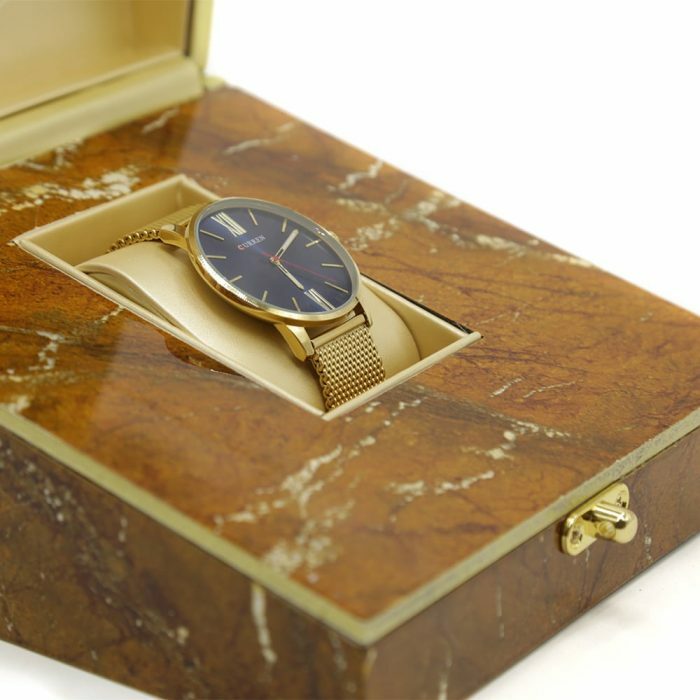 This Platinum Marble Single Watch Box is the very definition of class with its beautiful elegant design. 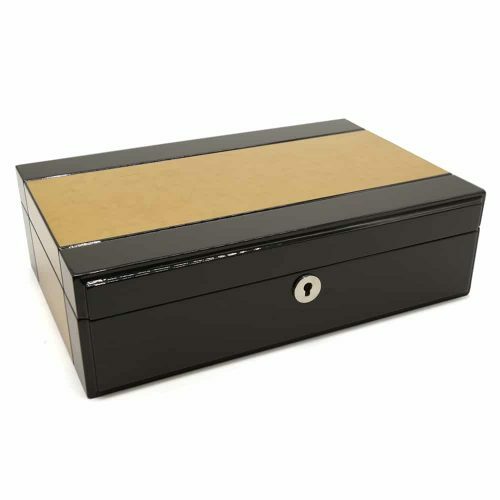 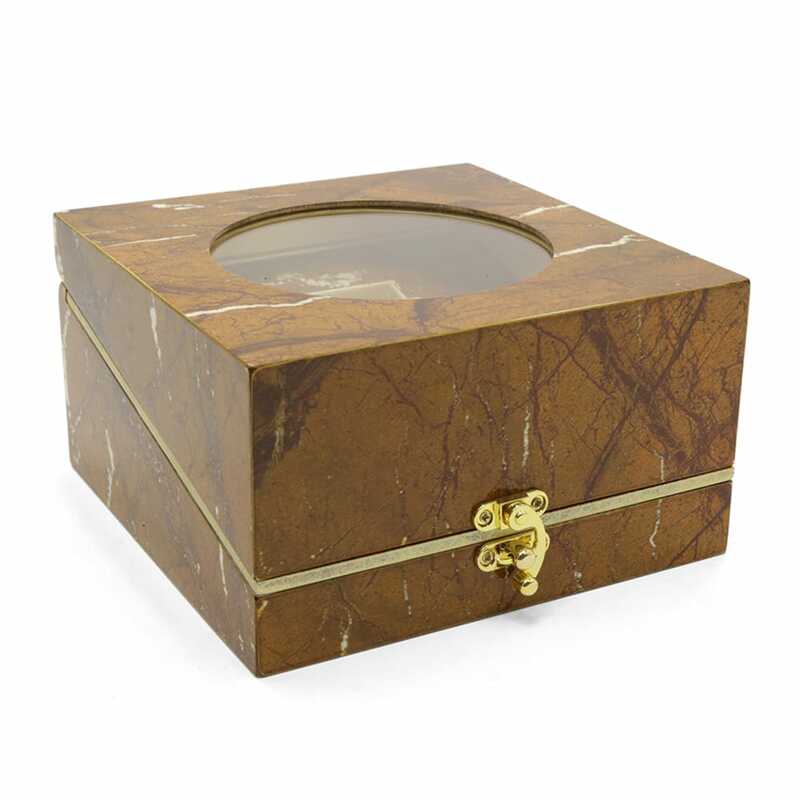 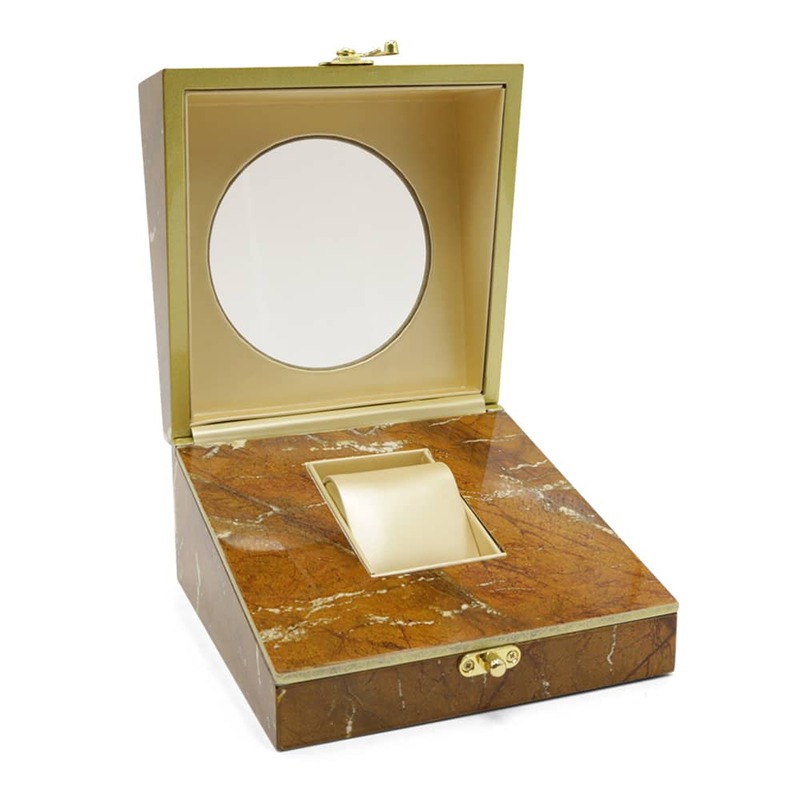 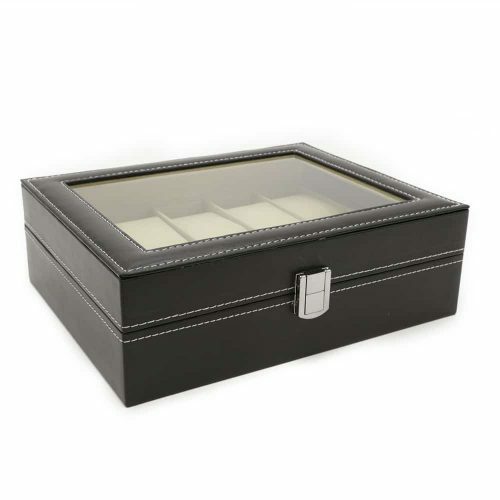 The exterior and interior of this watch box is made of an exquisite glossy marble material with golden features. 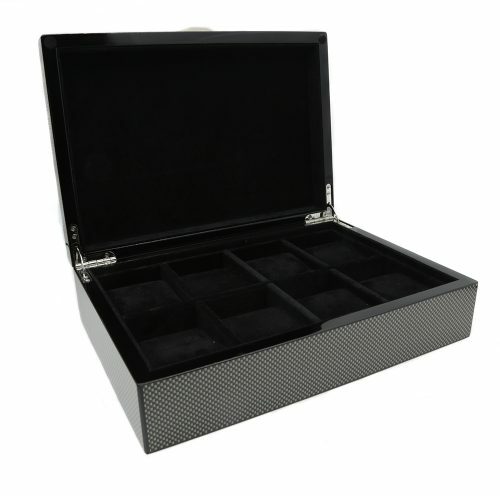 Inside, you can store a standard sized watch or a watch with a larger face. 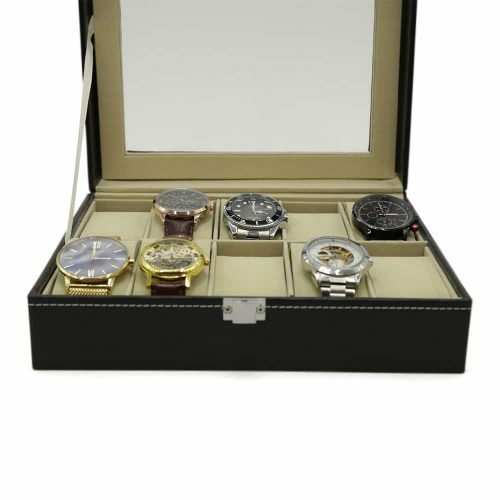 You can easily view your watch through the transparent panel making it ideal for display. 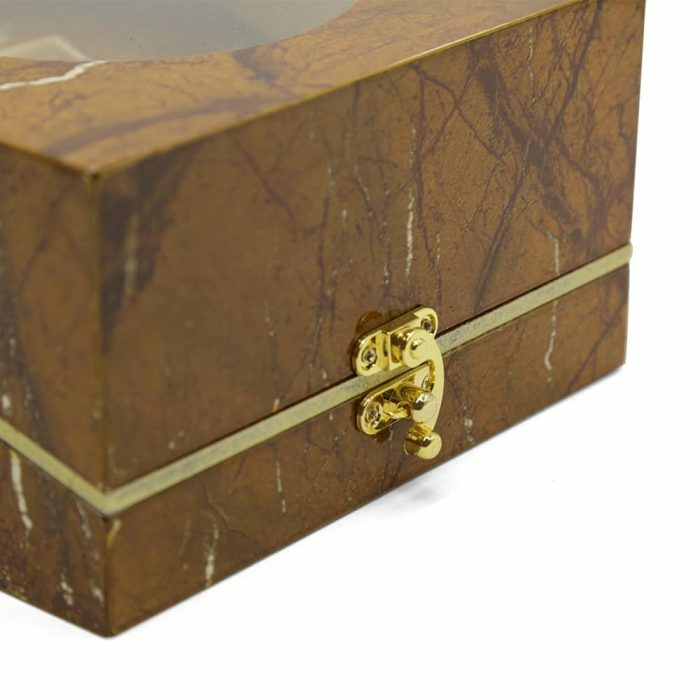 To secure the lid, it also comes with a golden latch on the front that fits the aesthetic of the marble exterior.